Need to find a reliable and honest commercial cleaning service in Sutherland Shire? Evolve Cleaning is the choice! 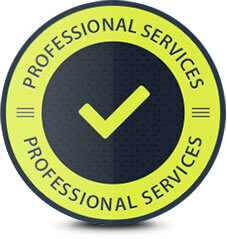 Having been in the business for over 23 years, our vast experience and knowledge makes our cleaning services superior. Looking for a premium office cleaning provider that can reliably and professionally? At Evolve Cleaning, we’ll provide you with the complete A-Z office cleaning in Sutherland Shire. When it comes to office cleaning and commercial space in the Sutherland Shire district, look no less than our complete package. We’ll handle all your office needs no matter what the difficulty is. Our exceptional and honest cleaners are well-equipped with the tools and resources to get the job done. No two offices are the same, that is why our cleaning services are tailor-made to suit your unique workplace. You won’t ever have to worry about all your office chores and accidental office messes. Gain the experience of what we have offered to many office spaces around Sydney and enjoy the highest level of hygiene. We’ll handle everything from the office bathrooms to your office kitchen. Wiping, dusting, cleaning, steaming, vacuuming, you name it, we’ll provide it. Our experienced cleaners are also knowledgeable enough to know how to tackle each and every type of surface effectively. Evolve Cleaning are extremely flexible to work around your working hours to provide you with the most convenience possible. Our 24-hour work schedule helps us to provide you with your very own unique commercial cleaning service in Sutherland Shire. Our superior level of customer service simply cannot be competed with. We believe that great customer service provides a great relationship with customers. A healthy relationship with our clients offers the opportunity to understand their business and their business philosophy. This way, we are able to provide them with a more tailored office cleaning service that reflects their business model. We believe that is this crucial to the growth of our client’s company and is beneficial to their employees in the Sutherland Shire district. Thoroughly cleaned office spaces are important for your business and we have been shown to be able to provide that during our 23 years office and commercial space cleaning in the Sutherland Shire area. Research has shown that a cleaner office space motivates your employees with a higher level of productivity and has shown to decrease the level of absenteeism. Two key factors in contributing to a business’s success. Thus it is vital that you choose a reliable cleaning office provider such as Evolve Cleaning in Sutherland Shire. Why Pick Evolve Cleaning for your Sutherland Shire Office Cleaning? Free Sutherland Shire Office Cleaning Quote! When it comes to your Sutherland Shire office cleaning, Evolve Cleaning should be your number 1 choice. We offer complete commercial space cleaning that covers the whole place. Our cleaners will ensure that every nook and cranny is wiped and cleaned so that no dust gets left behind. No matter what your office workspace cleaning requirements are, we’ll ensure that we can fully satisfy it at the best prices. Having dealt with some of the biggest brand names in Australia, Evolve Cleaning is a clear winner from the rest of the cleaning companies out there. We’ll provide you with a cleaning frequency that best suits you and your office needs. Reach out to Evolve Cleaning today and ask our friendly staff how you can get started right away!